Southern Maryland Fellers have been keeping families safe from hazardous trees and dangerous branches for years. As a growing company we take pride in our 5 star ratings and keeping our customers satisfied. Our business philosophy is to give high quality tree service at a great price. We have a solid reputation in Southern Maryland doing residential and commercial work. We pride ourselves in good communication with our clients and when our work is finished, we clean up after ourselves so you don’t have to! We provide a multitude of tree care services. Our main goal is to keep the trees in our community healthy and beautiful, while at the same time making the outdoor environment safer for all to enjoy. 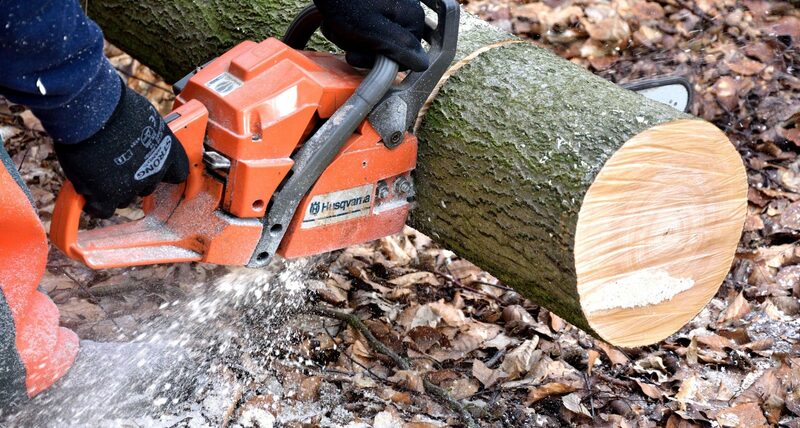 We specialize in high-risk trimming and the removal of trees and stumps. Our staff enjoys maintaining trees and landscapes, which we feel reflect the high quality of our work. Give us the opportunity to take care of your trees and we promise that you will be satisfied once you see the results. We are your Trustworthy Fellers Pruning Company St. Mary’s County. We always tell our customers that their safety should come first. Not knowing how to cut a tree properly, or trim its branches can bring dangerous results. Which is why you should call us today, and let us make the big cuts and clear any unwanted trees or stumps out of the way. Done the right way, tree trimming will improve the health of your trees as well as the beauty of your landscape. Whether you are looking to clear obstructive growth, remove storm damage, or simply improve curb appeal, we are here to help you! If you live in Patuxent click here for our Tree Care Services. A few weeks ago I had a tree leaning towards my house it was too big for me to cut down and Southern Maryland Fellers came and took care of it for me, they were prompt and courteous and my tree is gone what more could I ask for thank you!